"By looking at the number of times the trio top score in the last two years in individual innings, Kohli has 12 successes in 44. That's a 27.2% win rate. Rohit has 14 in 49 with a 34% win rate"
Virat Kohli breathed a sigh of relief after victory in game one. For once, India's top order had failed and the middle- to lower-order had come to their rescue in a sticky chase. Kohli was right to be calmed. Such is the runscoring dominance of the top three that India are relatively untested with Rohit Sharma, Shikhar Dhawan and, of course Kohli himself back in the hutch with not many on the board. In the last two years these three have scored 7,624 runs between them, that's 58% of India's total haul. Kohli has the highest amount with 2,822, followed by Rohit on 2,714 and Shikhar with 2,088. On those numbers it is not surprising to see Kohli rated as favourite to be top India runscorer. The best batsman in the world across all formats is not a man any layer wants to have against them. 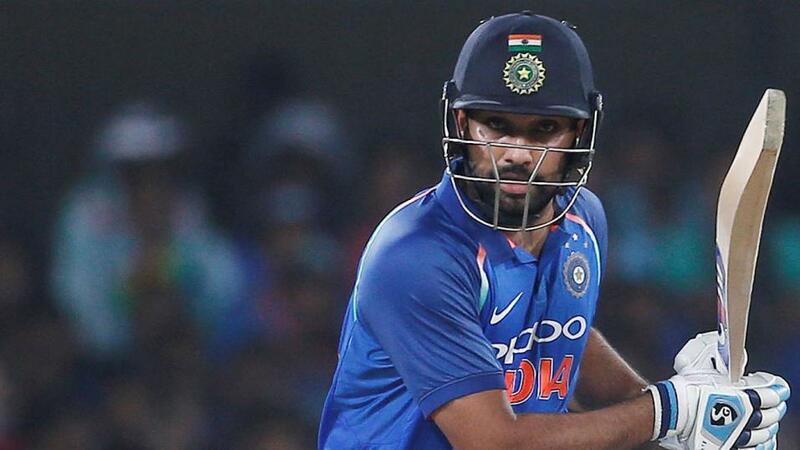 He is 12/5 with Betfair Sportsbook, followed by Rohit at 5/2 and Shikhar at 7/2. There is evidence, however, that Kohli should not be favourite, despite averaging nearly 20 more runs than Rohit and 40 more than Shikhar. In terms of actually winning a bet on this market, he has a lower percentage hit rate than Rohit. By looking at the number of times the trio top score in the last two years in individual innings, Kohli has 12 successes in 44. That's a 27.2% win rate. Rohit has 14 in 49 with a 34% win rate. So Kohli should be more like 11/4 and Rohit 9/5. Sportsbook go 5/2. The edge for Rohit is clear on price. Kohli is three clicks shorter than he should be, Rohit a whopping seven clicks bigger than he should be. As for Dhawan, he has a 22.9% win rate meaning the 7/2 is about bang on. We were rather hoping Kohli's price would be wrong for this one. In 2013 he smashed a century at this venue against Australia. Sure, Kohli is good enough not to need the vibe that a return to a good place provides, but every little helps. It's also not insignificant that he has not topped for five games, his last 'win' when he made a century against Australia in Adelaide in January. Law of averages and all that. By the same token, Rohit is three games without a 'win' and on the weight of numbers it would be foolish of us to ignore the edge. Australia have an embarrassment of riches when it comes to fast bowlers. Mitchell Starc and Josh Hazelwood, the former revered as the best in the world before Jasprit Bumrah's emergence, are not on tour. And AJ Tye, a specialist with a strike rate better than both, only made it into the squad once Starc had pulled out with injury. But the matrix is beginning to reveal who the value is for top Australia bowler. Or rather, who isn't. Step forward Pat Cummins. Rarely a poor bet in the five-day format but in ODI Cummins is stock rather than shock. In the last two years he has two wins on the market and one shared honours. A hit rate of 13%. That's not a record that suggests we should be rushing to bet him at 3/1 joint favourite. Likewise co-jolly Adam Zampa, who has one win and one shared honours in 13. It is true that in a period of flux for the bowling unit, relying solely on win rates doesn't cut it. Bowlers have come in and out of the fray and been unable to establish rhythm, plans and confidence. But we'd like to get with Kane Richardson because when we turn our attention to wickets per game average and strike rate, he should probably be favourite. He averages 2.1 per game in the study period and his strike rate of 25 is better than any of his team-mates. And that's saying something. Nathan Coulter-Nile is a thoroughbred with 1.8 per game and a SR of 28.1 Same can be said of Jyhe Richardson at 1.8 and 30.9. Coulter-Nile, had he been injury free over the last few years, would probably be regarded as one of the most fearsome bowlers in the world. If he can stay fit for the World Cup he could be destructive. Richardson is also proving too hot too handle. Jhye and Kane have battled it out for honours in the last 12 months with the former winning two (three ties) and the latter winning one (three ties). On balance Kane gets the nod because of superior strike rates and averages, especially as he's the same price at 10/3. Couilter-Nile is the same odds. Also, all three probably won't play, which helps. We expect Jason Behrendorff to make way for one of Jhye or Kane.